100 BUSINESS WISDOM FROM THE GREATS THAT MAY CHANGE YOUR BUSINESS FOR GOOD – 47 of 100 The secret of success lies not in you doing your own work but recognizing the best person to do it. 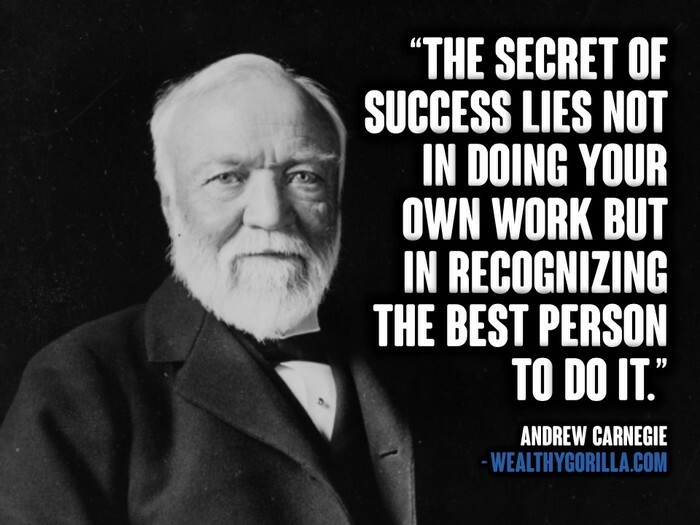 Andrew Carnegie. Andrew Carnegie was one of the richest men of his era. I have studied the man intensely and he had more wisdom than money; that’s saying something considering the huge size of his fortunes. A note was found in his drawer after his death and he said ‘I would spend half my life accumulating a lot of money and half of it giving it all away’. He was true to his words and gave away over 500million dollars; in today’s money would be more 300 billion dollars.